Hungary 14th Sept. 2014: â€œThe untiring and continuous support of Sandeep Marwah to the World Cinema has motivated us to invite him to Miskolc as the Chief Guest on the 11th Jameson Miskolc International Festivalâ€ introduced Tibor Biro the festival director at the Grand historical city Hall. 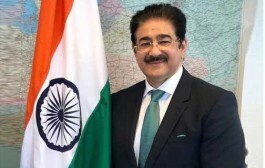 â€œThe contribution of Sandeep Marwah in films, television and media back at home and in different regions of the World brought him to International fame and honor. His involvement in films is worth praising,â€ said H.E. Malay Mishra Indian Ambassador to Hungary. â€œMiskolc welcomes Sandeep Marwah an international media personality and a five times world record holder. His visit to the town has been written in the books of our history. We hope we will work together for the promotion of film industry in Hungaryâ€ said Dr Akos Kriza Mayor of the City. â€œI am touched by the emotions extended to me by this city of Hungary, the international film makers and cinema lovers present from all over the World during this festival. I will leave no stone unturned to develop and promote the relation between two countries. 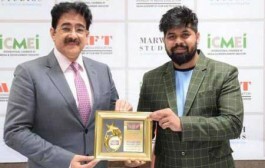 Marwah Studios and Asian Academy of Film And Television will be my partners in doing soâ€ said Sandeep Marwah the Chief Guest of Miskolc Film Festival at Hungary. 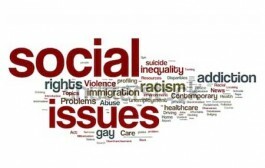 Sandeep Marwah is also the Chairperson of Indo Hungarian Film Association. He declared student exchange, faculty exchange, a scholarship to the deserving candidate at AAFT for short-term course, festival of Hungarian films at New Delhi and sponsored short film during his speech at city hall. Reena Marwah, Csobor Katalin member of Parliament, Secretary of the State Ministry of Small Investments, Deputy Mayor and Member Parliament Dr.Zsiga Marcell, Pankaj Srivastava Director Commercial & member of the board Air India, members of the international Jury, Edit Osko of World Wings, Zoltan Fecso creative producer, film makers and film lovers attended the event.